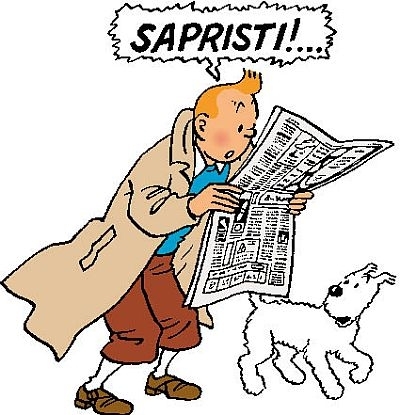 Sapristi! Tintin comes to Hollywood! 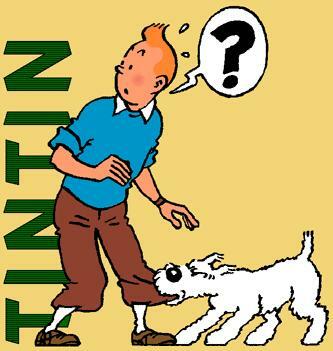 The Adventures of Tintin series created in 1929 by a Belgian artist called “Hergé” . Clever ,witty and ever-curious, Tintin is a young reporter-turned-detective whose pursuit of villains, criminals, treasure and the occasional artifact takes him all over the world! A cast of friends accompany him throughout his adventures: my favorites Tournesol and Milou! Hergé based his stories on real-world events and cultures catching the Belgian national attention — from space exploration to Arab oil wars — bringing them to life for his readers in inspiring and exciting ways. Tintin is a part of many generations of French Children’s heritage, my parents and I grew up with him and now kids in the U.S will rediscover him and fall in love! My own two kids are already devouring Tintin BD’s ( Bandes dessinées) in French!!! “The Adventures of Tintin:The Secret of the Unicorn” (computer animated) by Steven Spielberg and Peter Jackson coming to the U.S on December 21rst, 2011! I just wish Milou was still called Milou and not Snowy! Previous Previous post: L’ Envol! Next Next post: Le Beaujolais Nouveau est arrivé!